When we are working on projects, it is divided up into areas of technology and design. We used to have a person who specialized in that area assigned the work and everyone came together in the end to put the parts together. The issue was that a lot of people that may not be thoughts as ‘specialists’ come up with very valuable ideas or see relative information that should be shared with the team. We needed to break down the wall of getting those great ideas into the mix to be sure our clients are getting the best that can be and not just one team’s opinion. 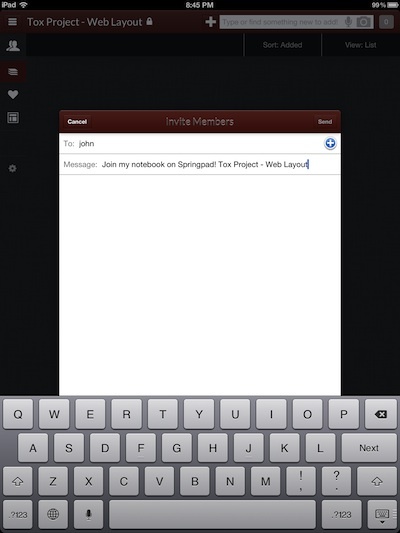 Setting up notebooks in SpringPad is as simple as tapping the ‘+’. 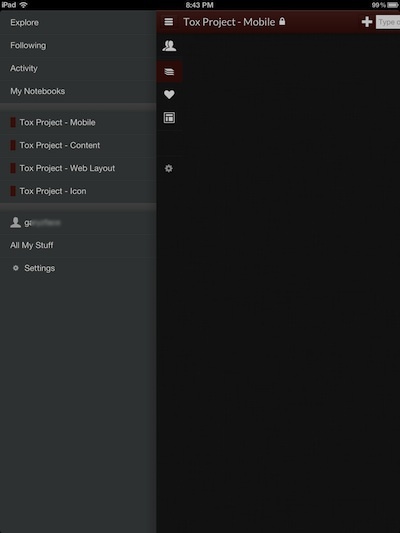 Each notebook has a name, can be assigned to a Category, Tags can be added, the look/feel adjusted and made Public or Private. 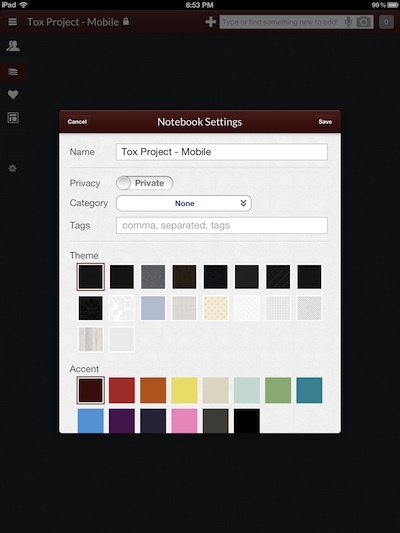 Each team member given access to a ‘private’ notebook will see those notebooks in a list within SpringPad on their iPad. 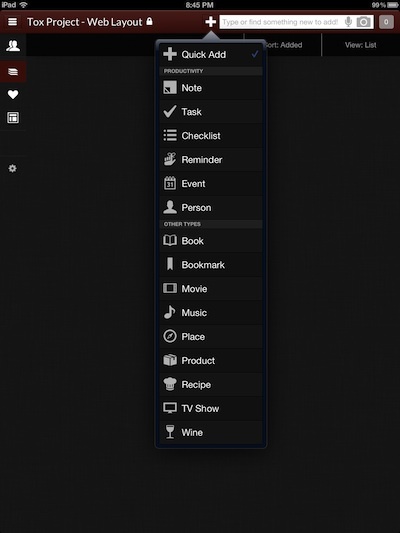 Any member can add more notebooks and add/edit items in the shared notebooks. We start the name of each notebook with the project name, then with the team or technology area. 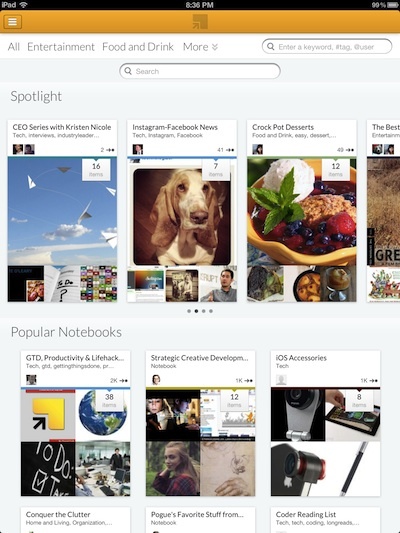 Collaborators gain access to the shared notebooks through an email. SpringPad offers a email per notebook, so we just paste in a list of team members and they all have access through the cloud via their iPads. With a notebook open, a team member simply chooses from the ‘+’ list what their addition format is being entered as. They can quickly add a note, assign a work task, create a checklist of work items, add a picture, share a site link… SpringPad is an open notebook for the team to add their great thoughts and share with the rest of the team without uploading/downloading and version concerns.